The Short Handle Cotton Carrier Bag With Logo from Calendar Lady Promotions are a lightweight cotton carrier bag with short handles for advertising your details upon on long walks. So why not have your business details and company logo printed upon our Short Handle Cotton Carrier Bag With Logo and give them away to your staff or customers. Then that way, you'll always stay one step ahead in the advertising game. 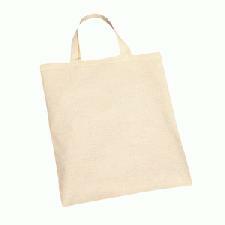 Promote your companies details upon our Short Handle Cotton Carrier Bag With Logo today! To find out more about our Short Handle Cotton Carrier Bag With Logo click here and fill in the contact form and we'll get straight back to you. Other promotional and personalised items besides our Short Handle Cotton Carrier Bag With Logo click here.